Click here to view dimension chart. 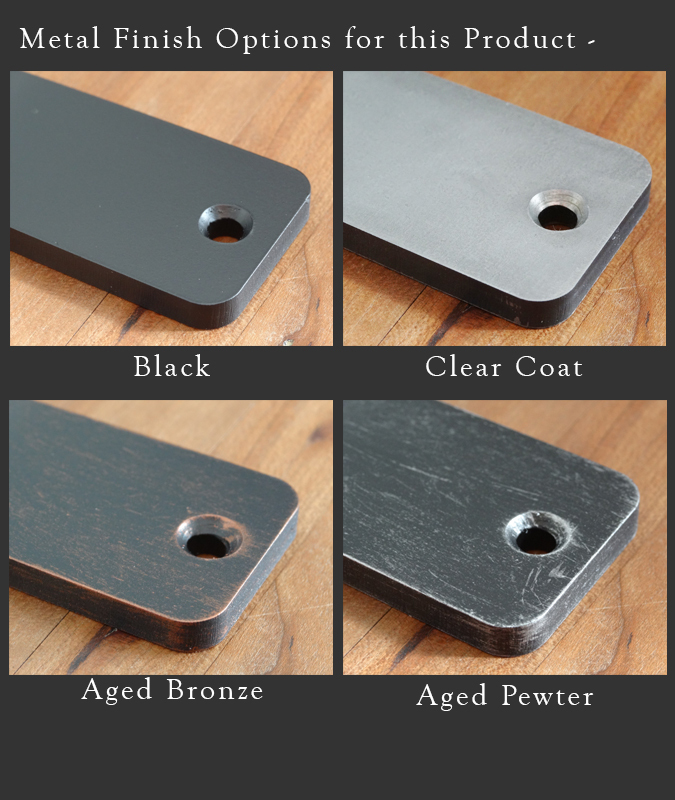 Click here to view iron finish images. Made of solid steel, the Eclipse Corbel is at once decorative and functional, perfect for many applications, including granite & stone counter top supports, shelf and fireplace mantel brackets, fireplace mantel and much more. 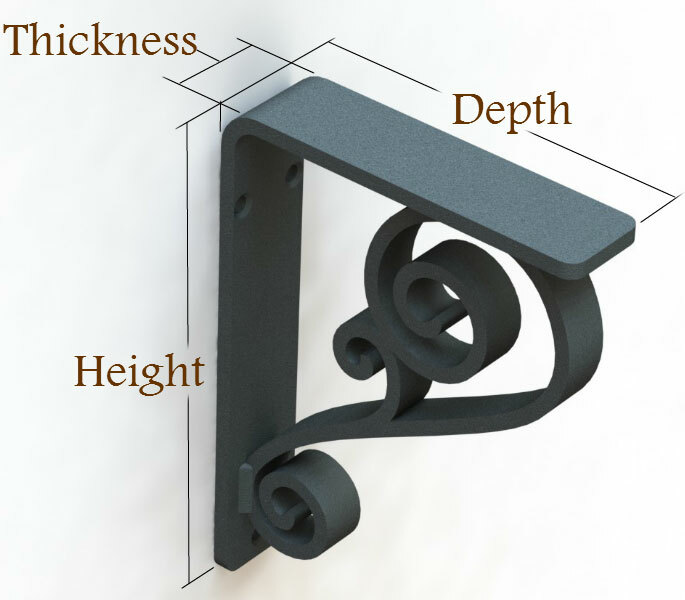 Offered in four finishes including Black, Aged Bronze, Aged Pewter and Clear Coat (over raw metal) these iron corbels will are ideal for just about any room from the foyer to the mudroom at the back door. Average customer Reviews: 5 of 5 Total Reviews: 5 Write a review. I purchased 4 wrought iron corbels in aged bronze to be placed at my granite bar-top overhang, necessary for a kitchen remodel. I checked on their status after purchase and used the live chat feature, which worked well. I was given prompt assistance and instruction about where they were in the process and the anticipated delivery date. When they arrived, they were heavy, beautifully colored, and frankly even nicer than I imagined them to be. I am very, very pleased, and I cannot wait to see them installed.